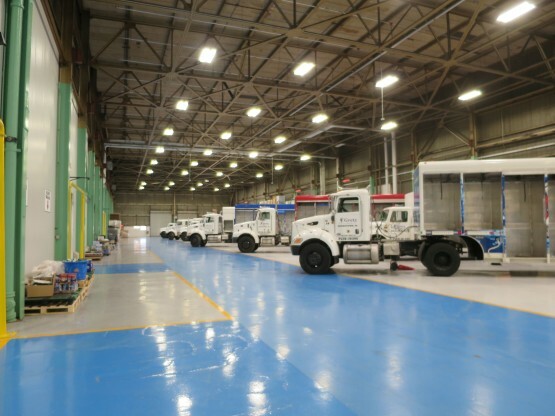 When the Gretz Beer Company outgrew its Norristown, PA., warehouse they turned to Blue Rock Construction to produce a modern 320,000-square-foot cold storage and office facility warehouse in Hatfield, PA.
Blue Rock revitalized an existing manufacturing-warehouse facility that includes a a 172,600-square-foot temperature controlled warehouse and a 42,000-square-foot office renovation. 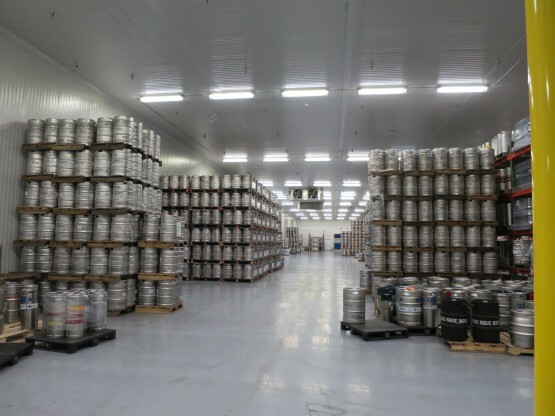 The design-build project also produced a a 14,250-square-foot keg cooler. In 1881, the Gretz family started their foray into the beer industry by opening a brewery in Philadelphia, Pa. At its peak in 1949, the William Gretz Brewing Co. was brewing close to 250,000 barrels and had secured 5% of the Philadelphia beer market share. Today, the Gretz Beer Company is owned and operated by the fourth generation of the Gretz family. Brothers Rob, Steve and Mike Gretz continue the tradition of distributing, selling and marketing the “Greatest Beers of the World” to the Philadelphia suburban counties of Bucks, Berks, Montgomery, and Delaware.